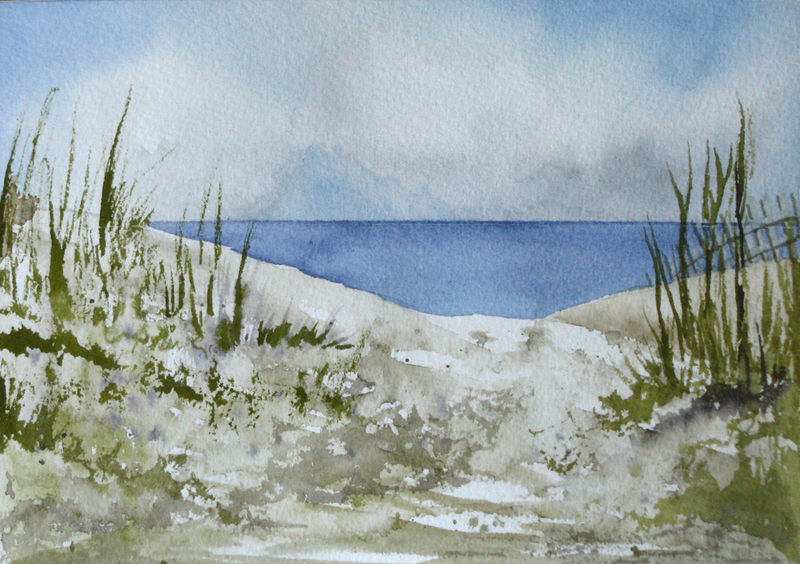 “Mother Nature in Watercolors” is a new class I’ve created for beginners who have had some experience mixing colors and want to learn some simple techniques for painting seascapes, trees, sunsets, stormy and clear skies, puffy white coluds, watery reflections, foliage, and other natural elements. Saturday, June 25th, 10:00-3:00, register at ART WORKS in Pine Mountain, 706-663-7778. $65. includes all supplies.